Did You Spend $8,239 On Search This Year? According to WebVisible’s quarterly “State of Small Business Online Advertising”, that’s how much your competitors spent trying to get your customers … and the numbers went up each quarter. On Google, your competitors were willing to spend over a dollar per click for those customers, and for very good reason. 43% of those paid-for clicks ended up with a customer calling to spend their money. Now, there are disadvantages in using paid search for your small business advertising, apart from the fact it’s expensive. For one – stop paying, and you stop getting calls, immediately. Natural search, via Search Engine Optimisation, lasts a lot longer than paid search. Click-for-click it’s cheaper, and your potential customers will much rather click on an organic search result than a paid result. It’s just human nature. Your customers are searching via the web, whether you like it or not, and whether you’re ready or not. They’re either going to find you, or your competitor. We guarantee to get you outstanding results for your business, in your marketplace, or we won’t take your money. 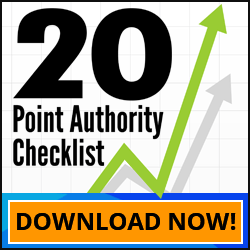 It’s time to get your business to #1 on Google. Melbourne SEO Sevices does it every day, for businesses just like yours. Pick up the phone and call us now. Are you saying small business owners should stay away from PPC? There are some people who might be interested more with PPC because your ad (or link) instantaneously goes on the first page of Google’s results. That is if you are bidding right. 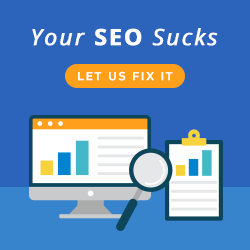 With SEO, don’t you think it takes a bit longer for the ROI to happen? Great question… no we’re definitely not saying to avoid PPC. In fact, it’s a great place to start to test your keywords and find out which ones convert best. With this data you can then better begin your SEO campaign targeting only the most profitable keywords. That said, if your PPC campaign provides a good ROI let it run in conjunction with your SEO campaign! It really depends on the situation and the numbers. You’re right SEO does take a little longer but we have found it provides the best long term ROI all things considered. Anyway hope that helps clarify our position.